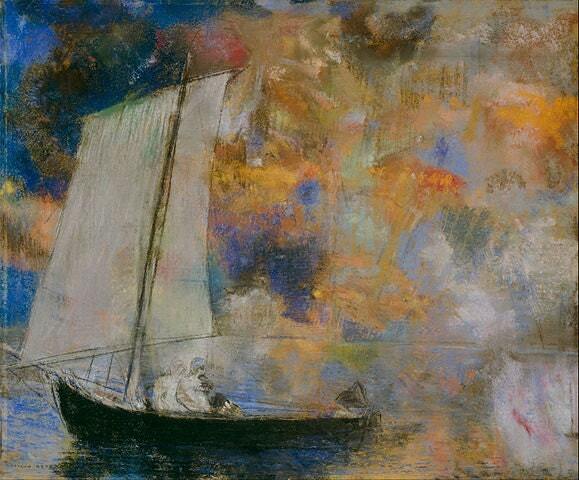 Odilon Redon was a French painter and one of the leading figures of Symbolism. At a time when the Impressionist movement was in full swing and the reality that characterised both Monet and Degas was the preferred choice, Redon pursed a contrary style. His dreamy subject matter and ghost-like style would in fact be a precursor of Dada and surrealism. In the early part of his career, he worked almost exclusively with black-and-white charcoal drawings and lithographs. When he was in his fifties, he started working with colour and proved himself to be a very remarkable colourist.